Dig and manure the soil in autumn or early winter. Give the ground a light dressing of lime early in February and a week before sowings. For use from September onwards sow seed March-April in drills 23cm (9") apart. Thin the plants out finally to 10-15cm (4-6") apart. For exhibition onions, sow under glass December-January, transplant the seedlings into boxes or pots and gradually harden off for planting out in April. Row 4.5m (15'). 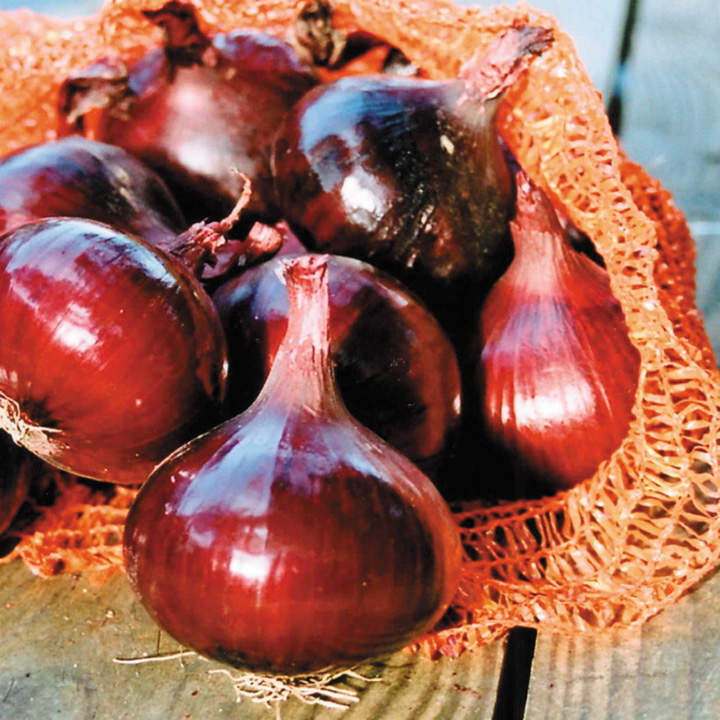 When leaves turn yellow in late summer, partially ease the bulbs out of the soil with a fork - this speeds the ripening process before harvesting later in September. HEALTH BENEFITS: One of civilisation's oldest medicines. Anti-asthmatic, anti-bacterial, antiseptic. Lowers blood pressure and cholesterol levels.